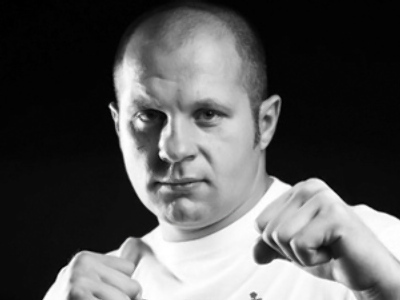 The best mixed fighter of the last decade Fedor ‘The Last Emperor’ Emelianenko is going to face Brett ‘Grim’ Rogers in his debut with Strikeforce. The match is supposed to take place in November, with the precise date and venue not yet set. The top-ranked heavyweight in the MMA Rankings, Emelianenko put his signature under the deal with Strikeforce – the US-based mixed martial arts (MMA) and kickboxing organization – on August 3, after his bout with Josh Barnett at the Affliction: ‘Trilogy’ event was cancelled due to his rival failing a drug test. The Affliction promotion company decided not to organize a mixed martial arts events after that. Brett ‘Grim’ Rogers is so far undefeated in the ring, with a 10-0 record. He’s won all of his fights by KO, with just one of his rivals surviving till the second round. The 28-year-old needed just 22 seconds to get the better of the experienced Andrey Arlovski of Belarus during his last fight on June 6.